Back in July The Daily Press had a story about how music store owner, Gordy Price, uncovered a 1909 aviation manual twice signed by Houdini. The inscription was to "M.M. Wood", almost certainly Montraville M. Wood, who not only helped Houdini devise his Milk Can escape, but also worked closely with the magician on his aviation exploits. "It was a great adventure researching the Houdini aeromanual. I found out a lot of things I never knew about Houdini and his aviation cohorts. Before I started researching the book, I didn't even know he was an early aviator. I had never heard of Montraville M. Wood. I met a lot of Houdini enthusiasts via the internet while doing my research and want to thank you guys for helping me piece together clues on the book. It's really been a honor finding this book some 40 plus years ago at my great aunt's house and rediscovering it a few months ago, and playing history detective on the origins of it for a couple of months, and then selling it to David Copperfield. I'm sure David will appreciate the historical value of the book. I hope in some way I have contributed in shining a light on an aspect of Houdini's life that many people never knew. That Houdini was a member of a small group of aviators who pioneered air flight and changed the world. I think Harry was very proud of it. Cheers." 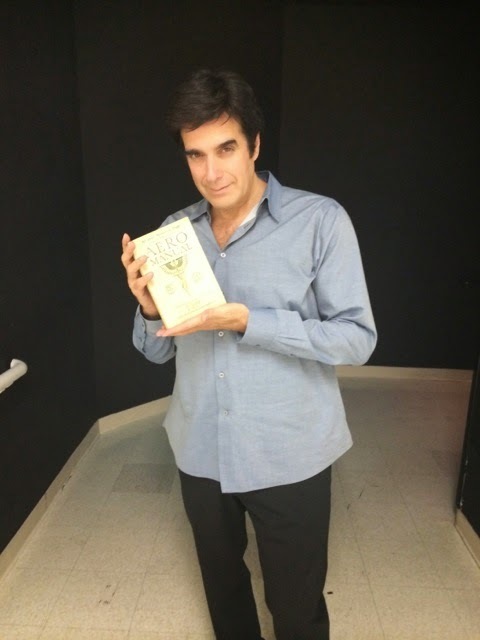 Congratulations to Gordy and to David Copperfield. 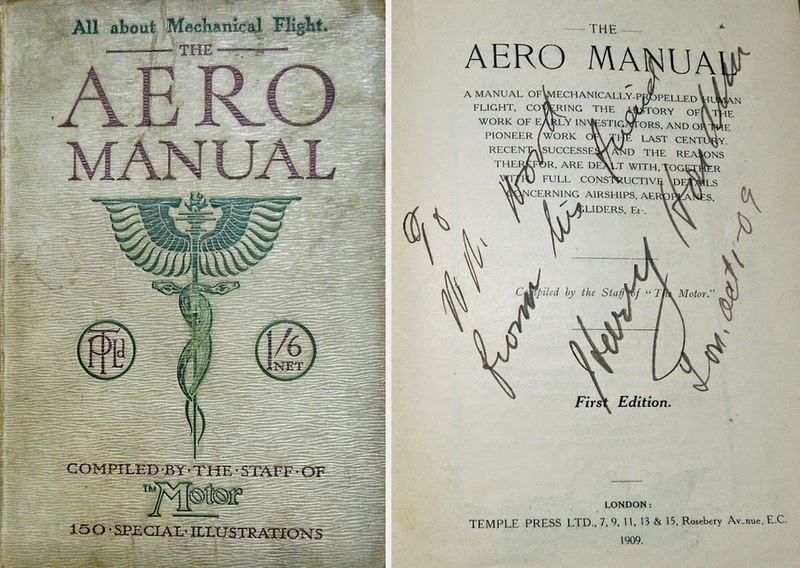 There are precious few mementos of Houdini's brief aviation career, so this is pretty special. I think it flew into good hands. Read the section of my book called the inventors. M. M. Wood was an amazing man. As I recall, he had over a hundred patents, mostly to do with aviation. He first applied gyroscopes to aviation. The fact that this book is signed to him is major. I believe he invented what Selbit renamed "the wrestling cheese." M.M. Wood was my great grandfather. He was a brilliant man.